Product prices and availability are accurate as of 2019-03-15 20:40:09 EDT and are subject to change. Any price and availability information displayed on http://www.amazon.com/ at the time of purchase will apply to the purchase of this product. 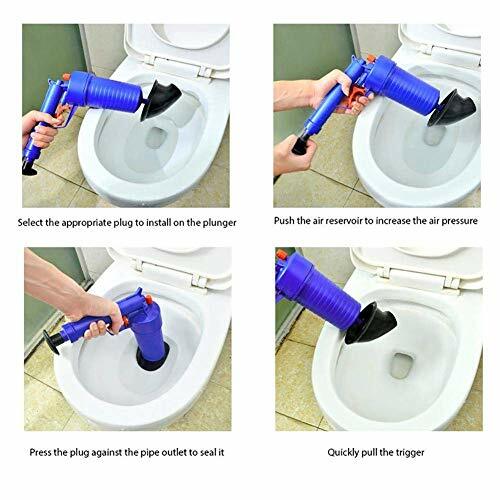 (Easy to use and Effective) The drain blaster uses the power of high-pressure compressed air to blast away the toughest clogs in your drains in just seconds.Just pump the drain blaster and squeeze the trigger, the clog is cleared instantly. 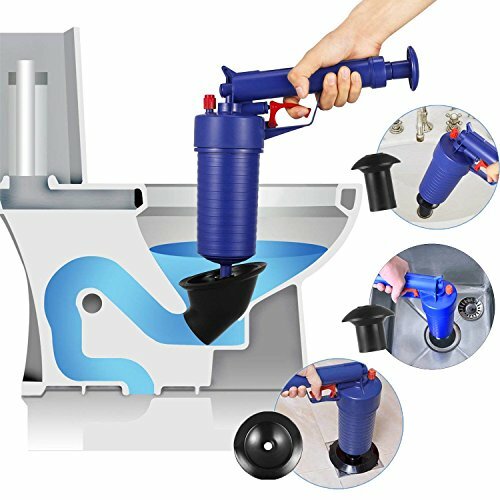 Much faster than traditional plungers and snake and No more waisting time on drain openers. (Multi-function?It can deal with various blockages caused by all sorts of rubbish such as hair, cloth, tea, leaves, grease,oil dirties and so on.With high pressure air power, it clears drains quickly and easily.Perfect for works on sinks, tubs and toilets. (durable quality) Beats using harmful chemicals that can corrode your pipes or endanger your family! It is reusable and can last for years and clears clogs without a need for a call to the plumber,saving you from having to pay big bucks for a plumber. 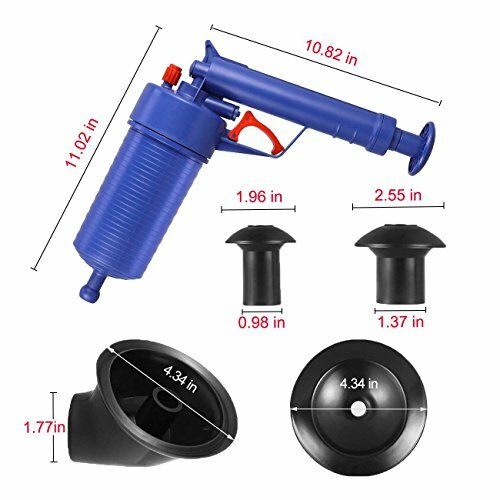 (Environmentally Friendly) ABS gun body, natural rubber blocked head. Gun Body Size: (L) x (W) 23.5 x 28cm / 9.25""x 11.02"". Weight:1.86lb.We use a natural rubber that is tough and durable for our drain blaster. 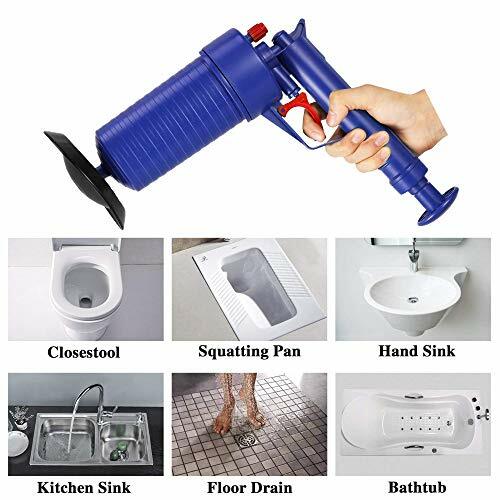 (Wide range of use) Comes with 5cm, 6cm, 11.5cm, 4.3cm-11.5cm, 4 sized suckers, can be used in toilet, washbasin, bathtubs, shower, sink, squatting pan, floor drain, blocked pipes and etc.